Founded in 1972, Bristol Bay Lodge sits on a wooded rise overlooking Lake Aleknagik and the surrounding mountains of Wood-TikChik Park. 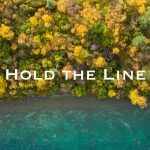 The lodge presides over a quiet scenic bay some 40 air miles northwest of the small, remote town of Dillingham, 300 miles west of the nearest connecting northwest road system. 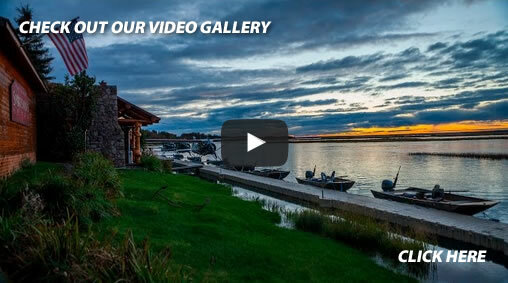 Bristol Bay Lodge is Alaska’s premier world-class wilderness fishing lodge. 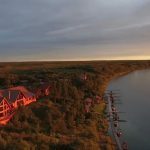 Strategically located in the heart of America’s largest state park, Bristol Bay Lodge has the distinct advantage of being utterly surrounded by pristine wilderness. 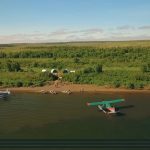 The lodge’s proximity to the watersheds within Wood-TikChik Park and Togiak National Wildlife Refuge means more fishing and less travel time, with flights averaging only 30 minutes. Abundant home water fishing is also minutes from the lodge. Just a short boat ride from the lodge’s front door is the world-famous Agulowak River, celebrated for its productive fishing for rainbows, grayling, char, dolly varden, and sockeye salmon. We have eight bedrooms in the main lodge as well as a fully equipped fly and tackle shop. Our guests can arrive with nothing but a waterproof jacket and be fully outfitted. In warm weather the lodge’s decks are the favorite gathering places for appetizers, cocktails and weekly barbecues. The hot tub and sauna get lots of use after fishing – relaxing sore muscles. Set around the lodge, but private in every regard, are four cedar cabins, often used for small groups or families. Each cabin is different offering its own character, yet all offer scenic views of Lake Aleknagik, slightly fragrant with the scent of cedar as you would expect of true wilderness cabins. Upon arrival in the port city of Dillingham, you will be greeted by Bristol Bay Lodge staff. At the airport it is required that you claim your luggage which will be loaded and accounted for prior to departing for the lodge. 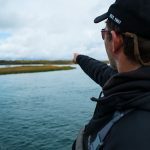 Bristol Bay Lodge is roughly 35 miles inland. Guests are transported down the lake road (40 minutes – roughly 20 miles), then board large covered boats for the stunning ride up Lake Aleknagik to the lodge. Upon arrival you will be escorted to the main lodge where you will be offered lunch. Afterward there will be an orientation, following which, you will be shown to your room or cabin. Every guest will have the opportunity to go fishing on his or her arrival day. Reservations at Bristol Bay Lodge will not be fully confirmed until these flights are booked. Sorry, no exceptions can be made. Flights will book up fast. We suggest that you contact PenAir at 1-800-448-4226 and ask about their special sportfishing fare which has no restrictions. 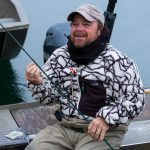 Be sure to mention that you are fishing with Bristol Bay Lodge because the lodge holds group space with PenAir.